Salisbury coach Tommy Widdrington will take control of the first team this season with manager Nick Holmes becoming general manager. The coach has been in charge of pre-season training whilst Holmes works on a takeover of the club. 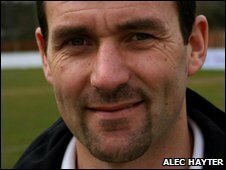 Widdrington, who joined the club in 2005 as a player, told BBC Wiltshire it is not as big a change as it may sound. "I will have the decision on picking [the players], that's the only difference from last season," he said. "It's a natural progression for myself. Nick's probably been forced into it because of the situation at the football club, but I class me and Nick as a team," he added. Widdrington also revealed that six of the players on trial at the Raymond McEnhill Stadium have signed on to start the season at Salisbury. Sean Clohessy, Jamie Turley, Danny Spence, Stuart Andersen, Ryan O'Hara and Bradley Grey have all agreed short-term deals, with a view to extended contracts when the protracted takeover of the club is finally completed.